Since 2008, quantitative easing has kept interest rates low, which in turn has lowered home ownership levels to their lowest in 30 years. Why? This article in Money Week does a good job of explaining how low rates drive up house prices. You go to the mortgage lender to be told how much you can borrow - “Wow!” you say, “I can afford to buy TWICE as much house!”, but in fact, everyone can buy twice as much house, so what happens instead is that the same house costs twice as much. What this means in reality is that the barriers to entry for the younger generation who didn't get a foot on the housing ladder before the boom are now sky high. The average house price in London is 14 times the average salary. If you don’t have access to bank of mum and dad for a deposit, you are stuck in the world of private renting, where landlords can put your rent up every year, by however much they choose. No wonder we have a national crisis of productivity. The growing “precariat class”, as Guys Standing describes it, is more reliant on stagnant wages for security than ever before and overspends on housing so that they have little to invest in business, further education, life events or second chances. As housing architects, we have designed hundreds of homes, but we’ve rarely met anyone who finally moved in to the places we’ve created. We’ve been frustrated by the fact that the traditional development model rarely allows the quality driven actors to work together to drive the project forward. The landowner sells or options to a developer, and promptly drops out of the process. The developer then employs an architect who does their utmost to engender appropriateness, given the time, budget and profit constraints. Once the building is finished and the architect role has ceased, the developer sells to the occupier, who has so far had no say in the process that has led to the creation of the most expensive thing they will ever buy. Our eureka moment came when we saw how the figures break down for a typical London studio. If the sale price of a studio is £200k – roughly half of this is spent on the land, with the remaining half split roughly equally between build cost, developer profit and tax. So on a £200k studio, you can expect only about £30-40k to have been spent on building it, including materials, contractor, and professional fees. When someone comes to buy the studio, they will likely need to take out a mortgage. On a 25 year £200k mortgage, they may pay an additional £90k back to the bank. This interest is about equal to three times what was spent building the studio in the first place! We realised that as architects we are only involved in a small part of the whole process, and to really make a difference to the homes we build, we need to be involved in the broader issues of land and finance. Architects need to become project enablers, bringing together the quality-led parties to deliver higher quality places to live and deliver more appropriate homes. Appropriate Housing, a research collective founded by Levitt Bernstein and Cullinan Studio, has developed an alternative model of land valuation, which is centred on the idea that long leases can facilitate an ongoing or perpetual income stream. In turn, this allows and encourages a longer term view that is more focused on community benefit and design quality than short term financial gain. Traditional land valuation begins with the Gross Development Value and works backwards, taking off build cost and developer profit to reveal the ‘golden egg’ of land value. And what a treasure chest this is. DCLG figures for a site we’ve been looking at in Cambridgeshire reveal that its agricultural value is £21k per hectare, rising to an eye-watering £3.2 million per hectare with residential planning permission. Is there a way to capture some of this value increase to invest in better quality, more appropriate housing? Why do home buyers have to borrow more than they can afford, just to pay a landowner a lump sum they don’t immediately need, when a long term income stream might be more attractive? Why is land optioned or purchased at the point when a project carries the most risk? In the Appropriate Housing model, we value land by linking an appropriate level of development on a site to local salary levels over a fixed period. This generates a long term income stream that can outstrip the traditional land valuation over the long term. 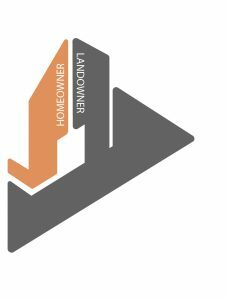 Essentially, the landowner becomes the mortgage lender, or shared equity partner for the land portion of the development. This is a way that community groups, custom builders or smaller developers can offer Local Authorities “best value” for their land, without having to squeeze out quality and design generosity in order to foot the land bill at the outset of a development. It also removes barriers to entry to secure tenancy for those struggling to save a deposit, by allowing them access based on their salary rather than their available deposit. It also facilitates a way of funnelling some of the land value increase into the quality of the design and appropriateness of the homes, which keeps us architects happy, and more importantly, the future occupiers too! Appropriate Housing are a research collective looking at alternative models of housing development. 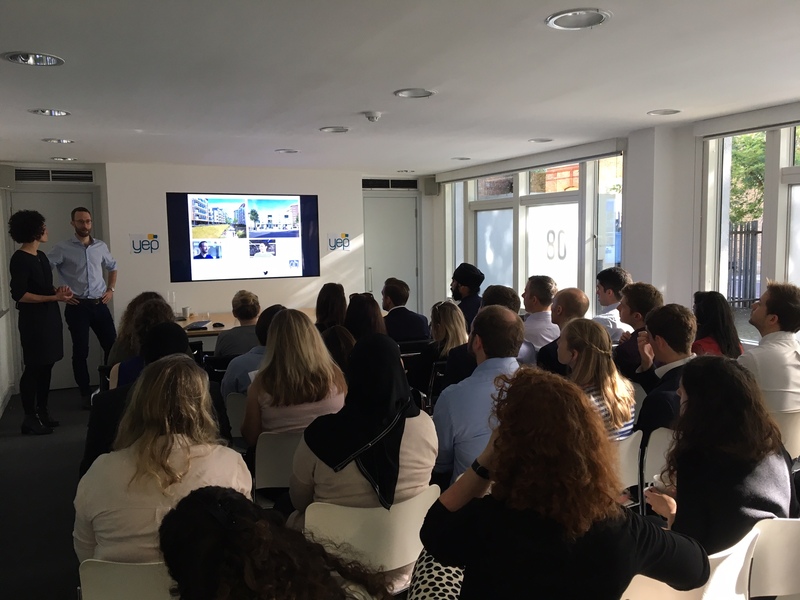 Phil Graham of Cullinan Studio and Zohra Chiheb of Levitt Bernstein presented their ideas to the Young Entrepreneurs in Property at a breakfast event 1st August 2017. To get in touch, please email info@appropriatehousing.com. What is the dream of "home ownership for all" actually achieving?